Our full vehicle builds are our specialty. If you're looking to outperform, out wheel, and have the best looking, most reliable Jeep around, you've come to the right place. 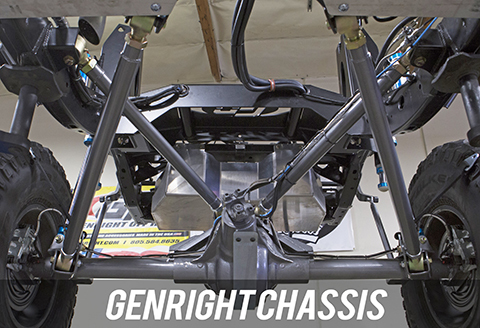 GenRight's racing background has given us a benchmark to test and develop our Jeep off road products and how we build our vehicles. We don't just bolt on products and call it a "build", we implement our knowledge and experience into complete replacement systems that work together with your Jeep, for unmatched functionality and performance. 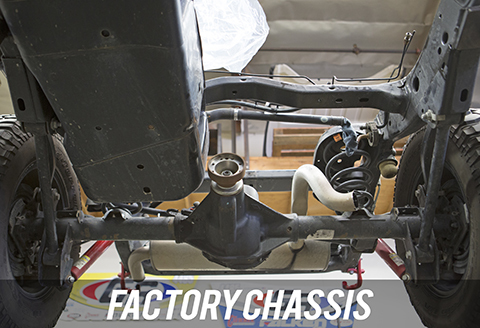 This process involves eliminating the inferior factory brackets and preparing the frame for GenRight Suspension installation. Our complete replacement suspension systems have also been developed over the last 10 years to withstand and perform under grueling conditions. 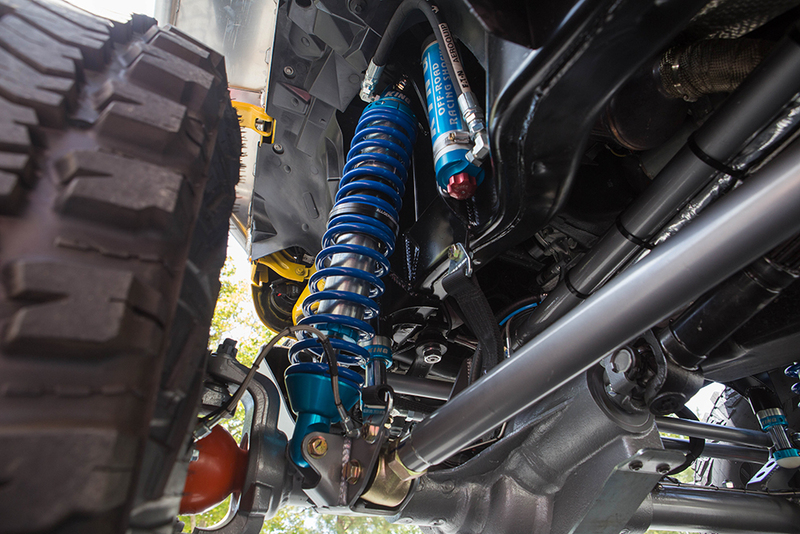 Most of our suspension kits utilize Currie RockJock 60 (or RockJock 70) axles front and rear. We have optimized these axles for our builds (proper pinion angles, corrected caster for drive-ability, differential lockers, gearing, and width). Different axles can be chosen if desired. 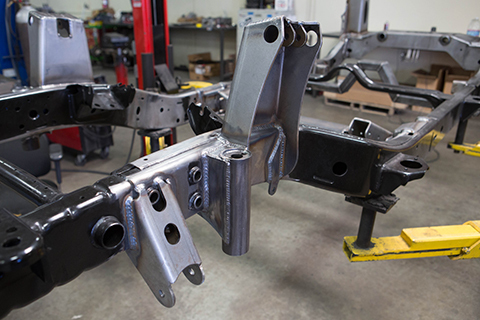 Once the parts are chosen, we begin assembling and welding all brackets, crossmembers, trusses, etc. 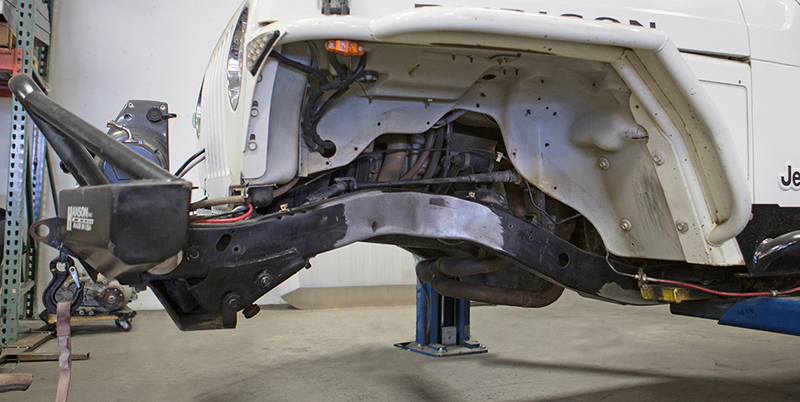 All of this is done by our certified welders that have countless hours of experience installing our complete replacement suspension systems. 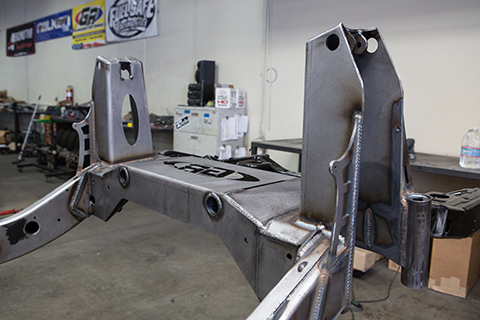 Most of our builds also include GenRight Armor, Roll Cages, Bumpers, etc. if you choose. This includes finish paint or powder coat, routing brake lines, wiring, other plumbing, and final torquing, testing, and evaluation. Our attention to detail is bar-none when compared to any high-caliber build.